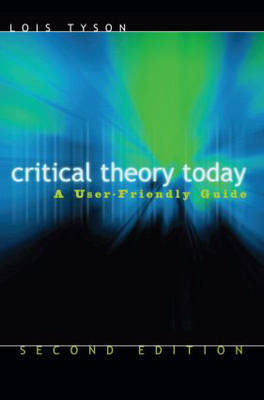 Critical Theory Today is the essential introduction to contemporary criticial theory. It provides clear, simple explanations and concrete examples of complex concepts, making a wide variety of commonly used critical theories accessible to novices without sacrificing any theoretical rigor or thoroughness. This new edition provides in-depth coverage of the most common approaches to literary analysis today: feminism, psychoanalysis, Marxism, reader-response theory, new criticism, structuralism and semiotics, deconstruction, new historicism, cultural criticism, lesbian/gay/queer theory, African American criticism, and postcolonial criticism. The chapters provide an extended explanation of each theory, using examples from everyday life, popular culture, and literary texts; a list of specific questions critics who use that theory ask about literary texts; an interpretation of F. Scott Fitzgerald's The Great Gatsby through the lens of each theory; a list of questions for further practice to guide readers in applying each theory to different literary works; and a bibliography of primary and secondary works for further reading.